Source: Doctor’s Bag – Hosted by TV journalist and radio broadcaster Ali Moore, the Royal Australian College of General Practice last week presented a new concept: an entertaining panel discussion with audience participation around topics such as funding of general practice and overuse of antibiotics. I’ve made a selection of the live recorded discussion about the Medicare rebate freeze and the future of Medicare. 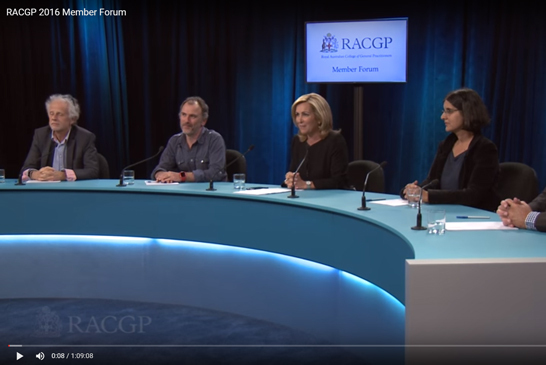 The complete video is available below and on the RACGP YouTube channel.